School board member Emanuel Capers, who has called for the creation of an in-house busing program as a way to solve the many problems, some avoidable, created by contracted bus companies, experienced sticker shock on Wednesday night. 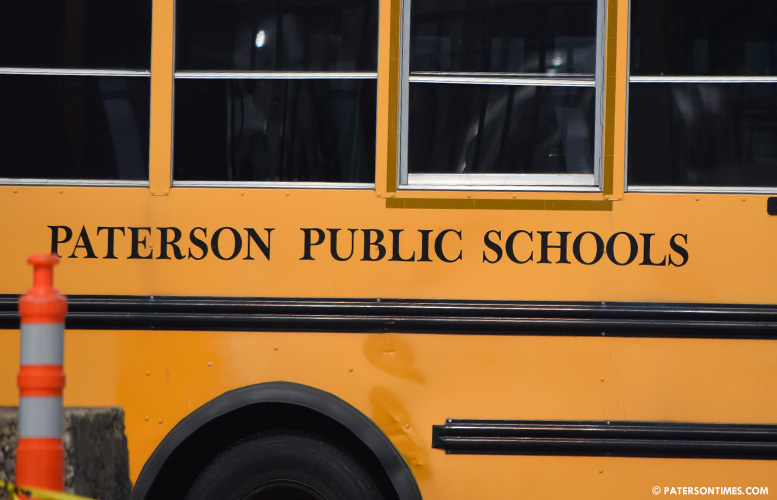 Capers was told it will cost $78.88 million to start an in-house busing program. James Smith, head of security at the district, who, many years ago ran the Paterson police motor pool, provided a report to the school board that outlined start-up cost for the program. Smith’s report stated the district will need 377 buses to transport 8,978 students. He said the district needs 102 large and 275 small buses. Buses, large is $88,579 per piece and small is $56,216, will cost $24.49 million. Maintenance and fuel will cost $2.6 million. Motor vehicle insurance $754,000 and $18,850 for inspection. Personnel – drivers, supervisors, dispatchers, mechanics – is a recurring $37.66 million, according to the report. 797 new positions will have to be created to run the in-house busing program. His report does not list a workers’ compensation figure. There’s also car seats, cameras, and GPS devices that will cost $181,000 and another $2.5 million for bus storage. The price tag is astronomical compared to the district’s current busing expenses. The district budgeted $16.45 million for busing in 2017-18. Next school year, the budgeted figure is $16.94 million. Busing cost has declined over the past three years. For example, in 2015-16 the cost was $25.9 million. In 2016-17 it was $21.26 million. Routes have dropped from 511 in 2015-16 to 360, according to the report. “It’s a big number and it scared a lot of board members,” said Capers. He said the number can be greatly reduced by assigning extra duties to existing employees. For example, he would like the district to pay willing employees, like custodians, to obtain commercial driver licenses to drive a school bus for extra pay. The district’s custodial services are handled by an outside firm. Smith listed salaries of drivers at $45,000. “There’s an extreme shortage of drivers,” he said. Capers also said the price tag for buying buses can be reduced through financing. $24.5 million can be paid over a 5 or 10-year period to have a manageable yearly payment. “You still have to pay interest per year,” said Smith. Indeed, financing will likely increase the overall cost to purchase the buses. But it will allow for a manageable yearly payment to purchase the buses rather than a large one-time expenditure the district cannot afford. Superintendent Eileen Shafer said her staff will look at the financing aspect. Bus storage expenses can be reduced by storing the buses at neighborhood schools, said Capers. Capers cites the hundreds of bus violations to push his in-house busing proposal. From Sept. 2017 through Feb. 2018 the district’s 14 private bus contractors committed 245 infractions. These firms pay penalties for each violation. The district has plans to increase fines for next year. Capers and other board members have been asked by the superintendent to make recommendations on fines. Hodges said some companies put drivers on buses without valid commercial driver’s licenses. School board member Flavio Rivera suggested a pilot program with a small number of buses.